The discovery indicates that Uni — a divinity of fertility and possibly a mother goddess at this particular place — may have been the titular deity worshipped at the sanctuary of Poggio Colla, a key settlement in Italy for the ancient Etruscan civilization. 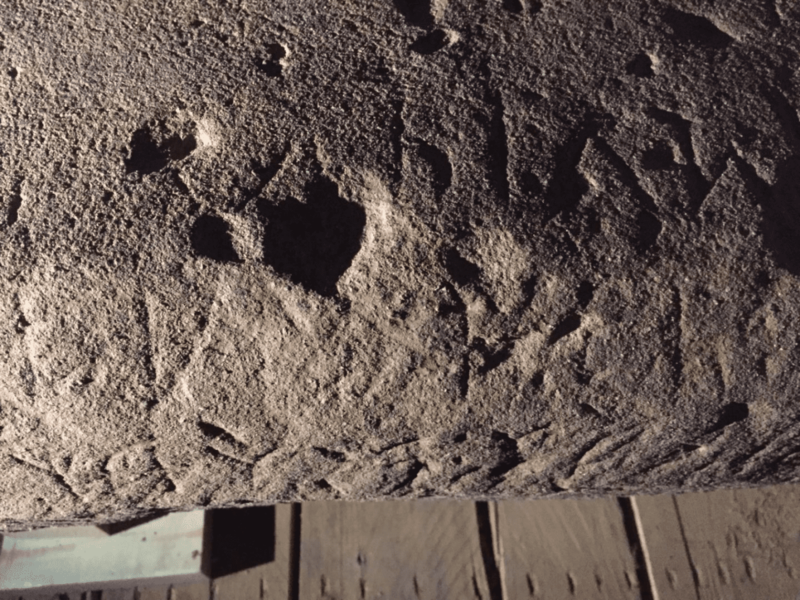 Now Etruscan language experts are studying the 500-pound slab — called a stele (STEE-lee) — to translate the text. It’s very rare to identify the god or goddess worshipped at an Etruscan sanctuary. “The location of its discovery — a place where prestigious offerings were made — and the possible presence in the inscription of the name of Uni, as well as the care of the drafting of the text, which brings to mind the work of a stone carver who faithfully followed a model transmitted by a careful and educated scribe, suggest that the document had a dedicatory character,” said Adriano Maggiani, formerly Professor at the University of Venice and one of the scholars working to decipher the inscription. “It is also possible that it expresses the laws of the sanctuary — a series of prescriptions related to ceremonies that would have taken place there, perhaps in connection with an altar or some other sacred space,” said Warden, co-director and principal investigator of the Mugello Valley Archaeological Project. Warden said it will be easier to speak with more certainty once the archaeologists are able to completely reconstruct the text, which consists of as many as 120 characters or more. While archaeologists understand how Etruscan grammar works, and know some of its words and alphabet, they expect to discover new words never seen before, particularly since this discovery veers from others in that it’s not a funerary text. The Mugello Valley archaeologists are announcing discovery of the goddess Uni at an exhibit in Florence on Aug. 27, “Scrittura e culto a Poggio Colla, un santuario etrusco nel Mugello,” and in a forthcoming article in the scholarly journal Etruscan Studies. It’s possible the text contains the dedication of the sanctuary, or some part of it, such as the temple proper, so the expectation is that it will reveal the early beliefs of a lost culture fundamental to western traditions. One section of the text refers to “tina?,” a reference to Tina, the name of the supreme deity of the Etruscans. Tina was equivalent to ancient Greece’s Zeus or Rome’s Jupiter.